Blog | Are You Familiar with Managed Services? Feb 2 2016Views 719 Are you Famiar with Managed Services? Paying for services by the hour can be very costly, there’s no doubt about that. If your central air breaks, you call the AC repair company. If a drain gets clogged you call the plumber. When you get a computer virus, you call the IT technician. When something breaks it has to get fixed, especially if it’s slowing down business productivity. When it comes time to pay the bill, you will charged for every hour that was spent on your issue. Nine hours of labor equals a nine hour bill. This process is called time based billing, and it could end up costing your busienss an enourmous amount of money that can be invested elsewhere. Managed services is the new approach to outsourced labor. 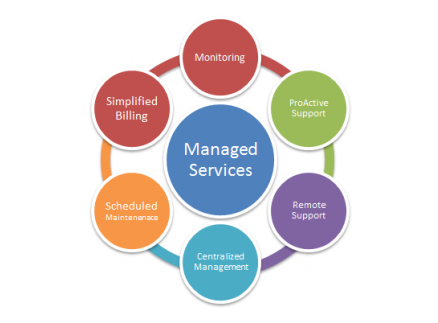 Managed Services offers a guaranteed level of service (and garanteed response times) at an agreed upon fixed cost regardless of the time and efforts it takes. ICS is a leading Managed Services Provider located in New Jersey. We can fully manage your IT infrastrucure for one fixed monthly fee. This flat rate stays the same no matter what errors or technicalities arise. This is very convenient for businesses because there are no surprises when it comes time for the bill. Businesses also benefit from this approach to service because if issues occur that take longer to fix and require a lot of resources, it will not have to cost the company extra money. The price agreement is static and your IT support costs are predictable. MSP’s are known to deliver a high quality of service and implement permanent fixes the first time around, avoiding recurring issues. Integrated Computer Services is a high performance MSP that has been in the industry for over a decade. ICS bundles the services needed for your specific plan into one affordable monthly payment. These support plans are tailored to meet the specific needs of your business. ICS Managed Services consist of the following, among many more! Managed Services is the way to go, the break/fix approach is outdated and will end up costing your business more in the long run. Feel free to contact us in order to find the best “fixed rate” monthly plan for your company.